GENEVA, Switzerland, February 28, 2014/African Press Organization (APO)/ -- Following a malaria outbreak in a cyclone-affected area of Puntland, Somalia, IOM, in coordination with the Puntland health authorities and UN agencies, has distributed a total of 3,050 mosquito nets to 15,250 people in nine internally displaced persons (IDP) settlements in Bossaso. In November 2013, a devastating cyclone hit the north-eastern region of Puntland. The cyclone brought heavy rain and flash floods, which left over 100,000 people in need of assistance. As the hygiene situation has worsened, for the first time since November 2012, a malaria outbreak was declared in the port city of Bossaso. Out of 27,404 people in Bossaso tested for malaria between November 1, 2013 and February 9, 2014, a total of 2,163 people (7.9per cent) were diagnosed positive. Of those, 63 were severe cases, 11 of them children under five. “Regular use of a mosquito net can decrease malaria mortality by about 20 per cent and malaria incidence by 50 per cent in children under the age of five. It is easy to fight malaria. You can do that with a simple mosquito net treated with an insecticide,” said Regional Medical Director of Puntland's Ministry of Health Mohamed Warabe. IOM Somalia Head of Bossaso Sub-Office Isaac Munyae also says that more needs to be done. “We need an additional 1.5 million treated nets and $1 million to be able to achieve universal coverage for all people at risk of malaria,” he notes. As part of the distribution campaign, IOM visited each household to explain the benefits of sleeping under a mosquito net and demonstrating how to properly hang the net. 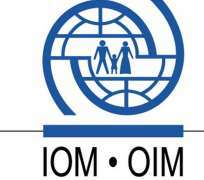 The initiative, under IOM's migration health, livelihood and mixed migration programme, was funded by the Government of Japan and the US State Department's Bureau of Population, Refugees, and Migration (PRM).